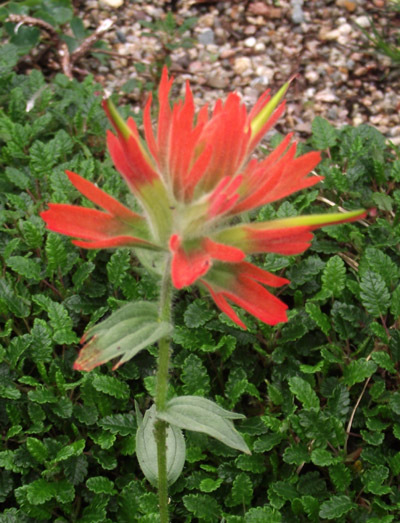 Although there are over 200 species of Castilleja world wide, very few are seen in gardens. Growers are probably wary of a plant that is partly parasitic on the roots of associated plants including grasses. 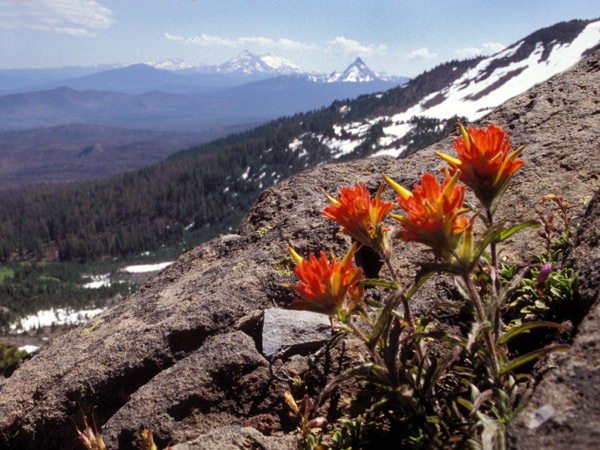 The genus is renowned for for its paintbrush-like flower spikes, and is renowned as being one of showiest plants in the North American mountains. C. miniata is found growing in North American mountains from British Columbia to California at up to 3500m, often found in rather damp places by streams - perhaps this is the reason is seems amenable to NI conditions. I managed to obtain seed from one of the seed exchanges in 2009, and three years later the first "Paintbrush flowers " appeared. I have grown it in a raised bed and also in a pot with winter cover. In recent years Aberconwy have offered C. miniata in their catalogue , it is well worth trying this plant as it is quite happy in Northern Irish Gardens.